The addiction to thinking is the main problem of the modern civilization. People are constantly dwelling on the past or worrying about the future. This habit of endless thinking creates unnecessary suffering and decreases the quality of life. It is the root cause of most of the problems. Your mind is an instrument, a tool. It is there to be used for a specific task, and when the task is completed, you lay it down. As it is, I would say about 80 to 90 percent of most people’s thinking is not only repetitive and useless, but because of its dysfunctional and often negative nature, much of it is also harmful. Observe your mind and you will find this to be true. It causes a serious leakage of vital energy. The solution to this problem is Mindfulness - the idea of living in the present moment. It is the foundation of life because you are always here and now. Mindfulness is widely accepted and supported by philosophers, psychologists, spiritual gurus and scientists, but it is not yet present in our mainstream society. If you do not know what this is all about, then start reading Eckhart Tolle’s “The Power of Now” - a clearly written introduction to mindfulness. Although originally articulated as a part of what we know in the West as Buddhism, there is nothing inherently religious about mindfulness, and it is often taught independent of religious or cultural connotation. This is the symbol for the idea of being here and now, which is also called mindfulness or present moment awareness. 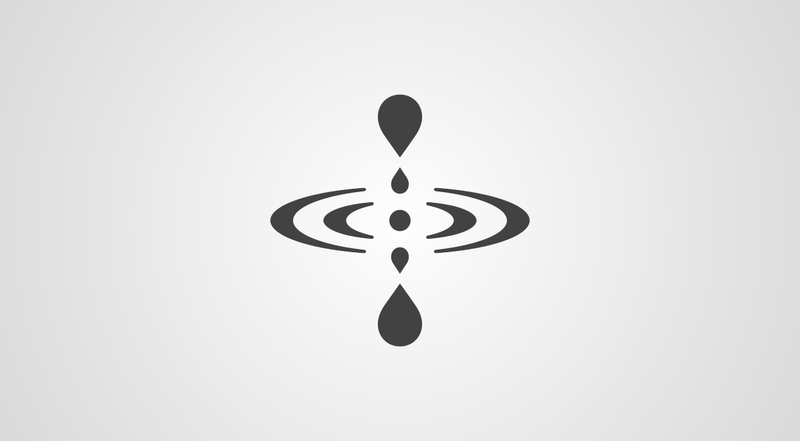 When you see this symbol, anywhere - in public, personal or virtual spaces - it will work as a reminder for you to become aware of this present moment. Firstly, this symbol is presented like a physical representation of the present moment. Vertical forms represent time - past and future. Horizontal forms represent space - 360 degrees. And the one is always in the center - being here and now - perfect equanimity. 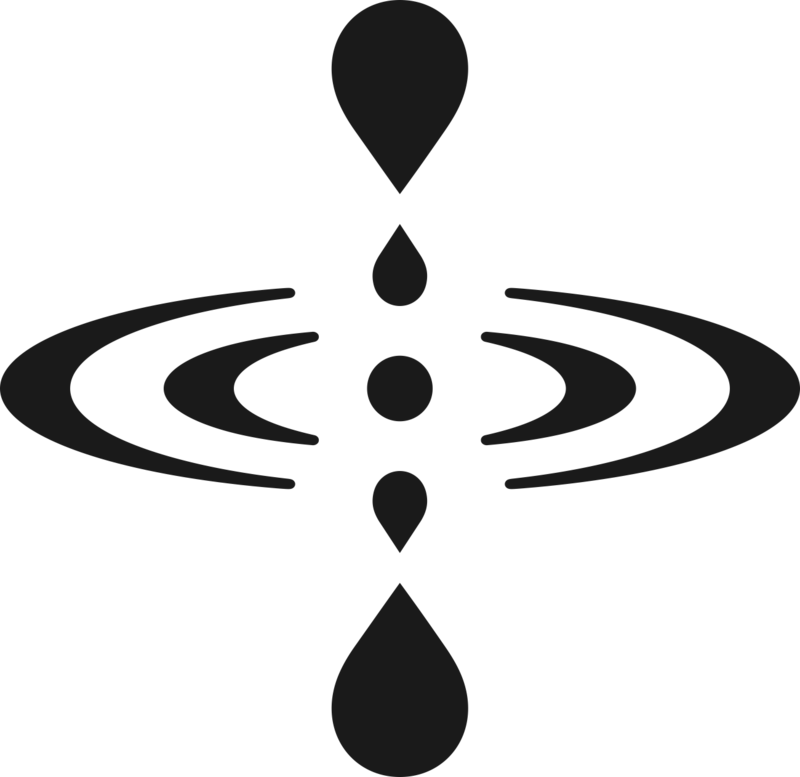 Secondly, you can see a symbol of a water drop. 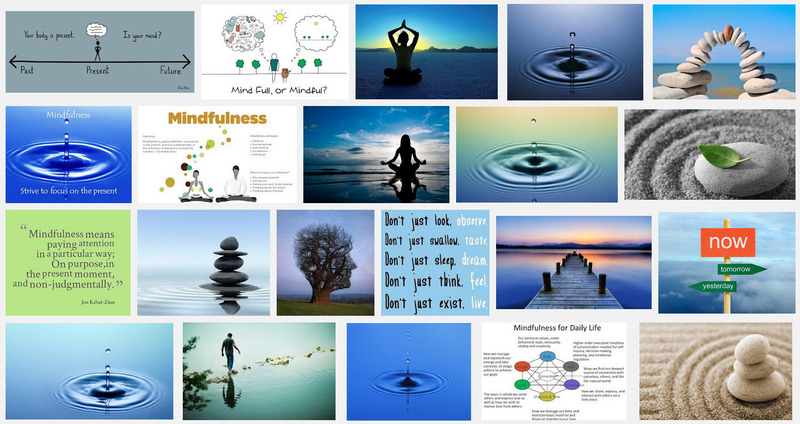 This is the most often used metaphor to represent the idea of mindfulness. But here, the water drop is presented in a kind of mirrored way which symbolizes time - past and future, both are illusions, so stay centered in the present. This is an “open source” symbol that can be used by anyone in order to spread the message. The symbol can be used in different ways and in different media. Please send us your photos or your creative designs with this symbol, and we will showcase them on our Tumblr page. Also, you can spread the message through social networking sites. Please use the buttons below.